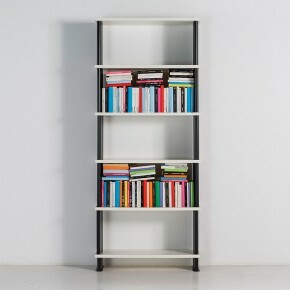 A bookcase modular in height and width, with an affordable price and easy assembled. NIKKA becomes tailored for you, for your home, for your stuff, for your office, for your study. In a short time you will receive courier telephone appointment and in few time, tightening some bolts, mounting shelves and sides, you will be able to see your beautiful NIKKA ready to be packed with books.